In previous articles I’ve made mention of the rise of mobile and how it’s affecting the customer experience. 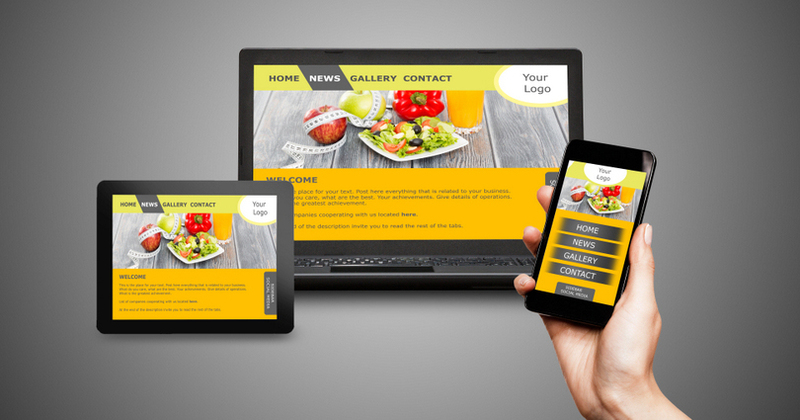 In this article I’m going to dive deep and essentially explain why you can no longer afford to not have a mobile friendly website for your business. But first let’s define what being mobile friendly actually is. When someone refers to a website as being “mobile friendly website” they are referring to the ability of the site to adapt to mobile devices and apps. Meaning, the screen adjusts, the menu adjusts and everything looks just as good on a smartphone as it does on a computer. It’s also called “responsive” design. Not only that, but being a mobile friendly website also refers to the ability of a website to accept purchases via a smartphone. For some businesses this may mean making an entirely different app like Amazon or Hautelook have. The reason this is important is because mobile browsing and subsequent shopping have seen some major growth in the last year or so. A Forrester study reported how 60 percent of all retail purchases will involve the internet by 2017. This rise is being attributed to how easy it is for people to now shop from their smartphones. Mobile media time (51%) now exceeds that of desktop media time (42%). Mobile device usage has also exceeded desktop usage. By 2019 advertisers are projected to spend 72 percent of their ad spending on mobile. But wait, there’s more! Mobile isn’t just ahead of the game in terms of PC, it’s also responsible for the fact that people are spending more time online than ever before. In fact, mobile devices have doubled the amount of time people spend online. Additionally, earlier this year Google started giving mobile friendly websites preference in both search results and ad displays. The immediate affect is obvious: if people are spending more time on their phones then businesses need to figure out how to be seen on their phones. perhaps even investing in digital advertising for mobile. This also means businesses must have an online presence that is more than just a website that looks like a brochure. The bottom line is this: if you don’t have a mobile friendly website for your business, then you’re behind the eight ball. There are several ways to make your business more mobile friendly. While we’re going to list all the ways of doing so, just note that not everything applies to everyone. We’ll make note of when something may not be entirely necessary depending on what stage of your business you’re in. The easiest way to become mobile friendly is to make sure your website is compatible with mobile devices. I say this easy but it really depends on your publishing platform. If you had someone build your website from scratch (without using any frameworks) then it may require some more code or development. However, if you’ve got a basic website using a framework like WordPress, you now have access to mobile friendly (responsive) designs and themes you can easily install. This is probably the first place where you will want to go mobile simply because it works on browser apps that people are probably already using when searching for stuff. Additionally, you may want to consider creating content that works better on mobile. While reading a blog post is great, consider having more audio or video content on your site. Audio, and in particularly podcasting, is on a steady rise with over 49 million listeners. It’s also much easier to listen to a podcast from your phone on your commute than to read a blog post or watch a video. Companies are very busy making their e-commerce sites mobile friendly. In other words, people need to be able to buy from you on their phones. More and more people aren’t just browsing on their phones, they’re also spending dollars. Here is where this may not be right for everyone. If you have a service-based business maybe you don’t need to worry as much about making your shop mobile friendly because you may not even have an online store. Some companies have just made their own apps. You can purchase from Amazon via an app, book a car service via an app and you can even get your groceries delivered via a phone app. Normally it would cost you a lot of money to have developers create an app. Fortunately, there are now several services available which can help you create apps with a few clicks of a button. Again, this may not be entirely necessary for every business, but there is some merit to having an app depending on what the business actually does. By making sure your business is mobile friendly—at the very least with your website and content—you are ensuring the success of your business in this new world of commerce. Do yourself a favor and do not get left in the dust.